Here at Denton Family Dental Clinic, we also have the option to deliver clear & flexible partial dentures which do not contain any metal. We understand that when you are smiling, you do not want to have any type of metal to show. 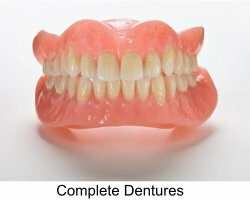 These types of partial dentures are perfect to eliminate any metal from showing. They are also flexible and will not break as easily.